To register for this conference, use the link below for the Hear the Watchmen Website. I heard you in Colorado Springs and was so blown away by your information, I called Jeannie Moore and told her she had to get you to this conference!! And I am so glad you agreed to come. You will be in great company! But,…FYI…the reason I am contacting you is because you have John Ragan’s name spelled wrong in your list? His last name ends in AN. (Honestly, just trying to be helpful). 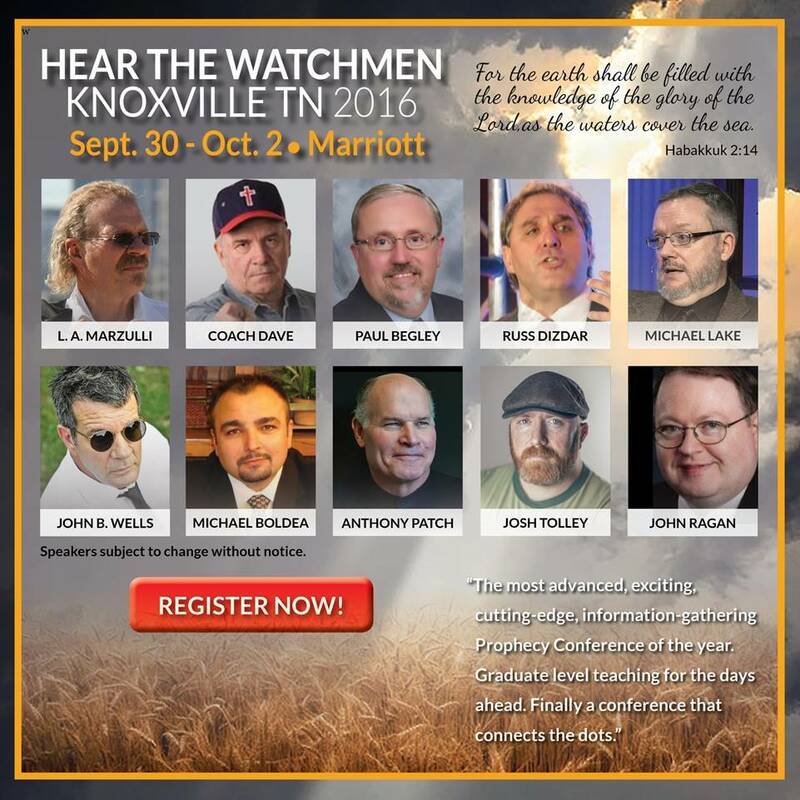 I worked the conference in Dallas, and will be in Knoxville too. It is going to be a tremendously dynamic time! ***I do know that you and Russ will be in Lebanon, TN., 2 weeks prior. It is my hope that you will promote this there, and encourage everyone to travel over to Knoxville, for a 2nd helping of this spiritual food? !